Searching for and acquiring Oktoberfest accommodation is no mean feat; it’s the largest festival in the world after-all. There are the usual accommodation options such as hotels – located in Munich or in nearby towns. The adventurous (or budget conscious traveller) however, may wish to explore some alternative accommodation options. Hotel accommodation books up long before the event is due to take place every year, and we mean several months beforehand. So, if you are considering this option it is best done sooner than later. 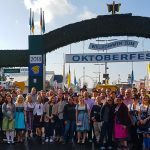 You can book a hotel in a town close-by to Oktoberfest. The towns of Ludwigsvorstadt and Schwanthalerhöhe are located just within a kilometer of the Oktoberfest venue in Thereseinweise, Munich. An example of what you can get: Marc Munchen is a 4 star hotel located only 1.1 km from the venue. It has the typical modern décor, 24 hr reception, and all the mod cons expected from its star rating. The hotel is just a 3-minute walk to Munich Central Station. Price: The cost can vary anywhere from 200 – 400 Euro per night, depending upon whether it is mid week or the weekend. Pros: Convenient and very comfortable accommodation located in Munich. You will be able to get to the festival without much of a commute and have an upper hand on other festival participants. Cons: Cost – A lot of money that can be otherwise be spent on beer, parting and also sightseeing. Cheaper hotel accommodation can be found on the outskirts of Munich and in other towns and cities altogether. The Bavaria Safari Hotel in Dachau is located 16 km from the Oktoberfest grounds in Thereseinwiese. It’s a family run 3 star hotel on the outskirts of Munich. It’s also a 10 minute walk to Dachau concentration camp. In terms of public transport, it is located within 3km and a direct bus journey from the S2 train line. Price: Will cost around 100 – 150 Euro per night during the festival. Cons: You’ll need to catch a train and bus to get to the Oktoberfest grounds. 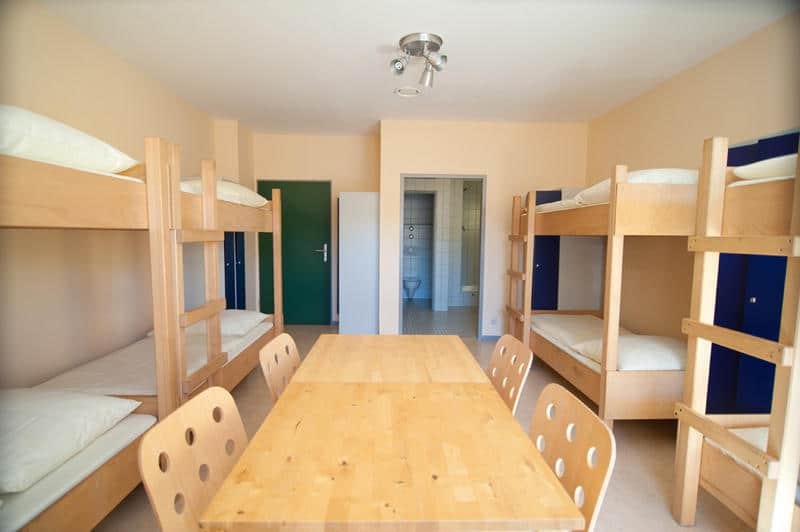 Hostels & backpackers provide cheaper Oktoberfest accommodation options for those seeking a place to stay nearby the venue and are especially suitable for those travelling in larger groups. An example of what you can get: The Hotel Haus International is a 2 star hostel located in Munich. Sure, the rooms are shared (and in some cases bathrooms) but you do get some excellent party facilities at hostels – and this is a typical example. There’s a beer garden, a nightclub, table tennis, bicycles to rent and the bus and tram stop are located just across the road. Pros: Hostels are great if you love to party – and since your attending Oktoberfest it’s fair enough to say that might be your aim. Cons: Not everyone enjoys sharing a bathroom or bunking alongside random people. 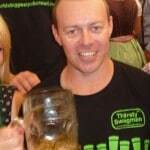 Camping is an option for those who wish to back pack or plan a low budget trip to Oktoberfest. An example of what you can get: You can rent a tent for up to 4 people at Wiesn Camp. It’s located a desirable 15 mins from the fairgrounds and the city centre of Munich. 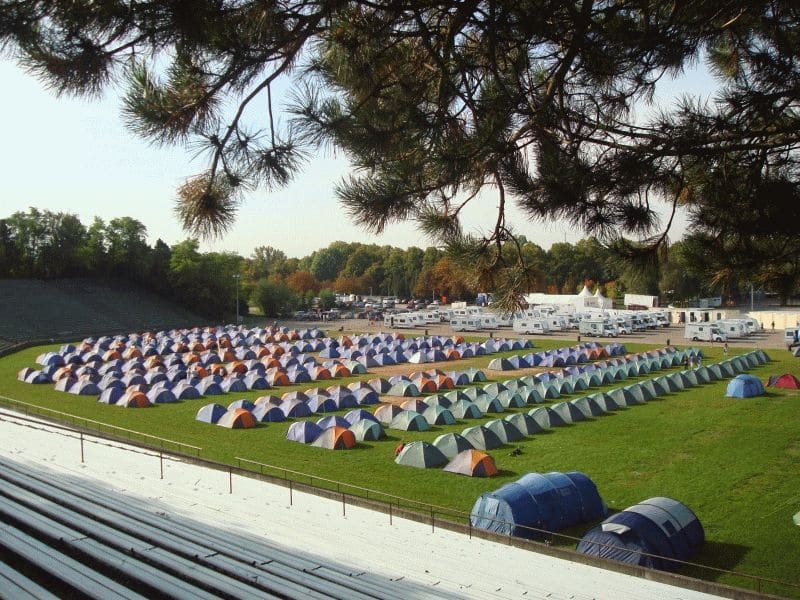 Your tents are already assembled and you can use the campground facilities during your stay. A sleeping bag is required. Secure parking is available. 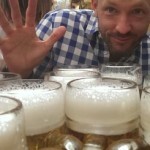 Price: It costs about 70 Euro per night per person to camp at Wiesn Camp. Cons: All the downsides of the regular experience of camping (no luxury, little comfort). The chance of very low temperatures may require some serious warming to the idea of being out in the elements.